Our original share house, UNIShare Pooraka, is in the quiet and friendly Montague Farm estate. The house is within walking distance of the Mawson Lakes campus of the University of South Australia (UniSA), and is close to bus routes serving the city of Adelaide. 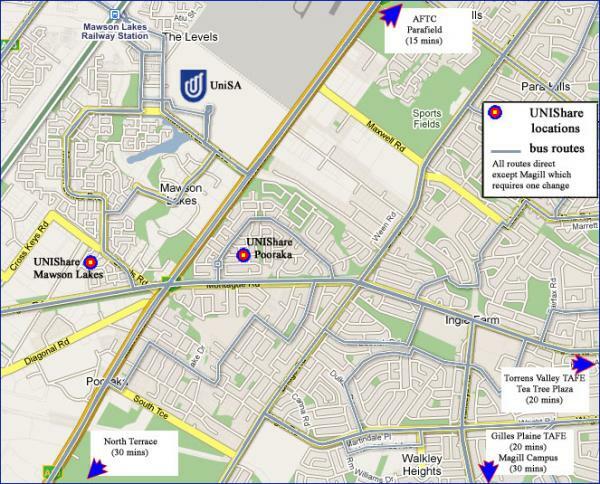 North Terrace campuses of UniSA and the University of Adelaide are only 30 minutes away by bus. The house is also conveniently located for Flight Training Adelaide (FTA) at Parafield Airport, and for the various TAFE campuses in Adelaide and northern areas. If you need to get to the Magill campus, catch a bus on nearby Montague Road (change at the Paradise Interchange). UNIShare Pooraka is also conveniently located for the Defence Science and Technology Group (DSTG) at Edinburgh, providing ideal accommodation for participants in DSTG’s Summer Vacation Scholarship (SVS) program. Local shops are nearby in the Montague Farm precinct, and buses along Montague Road provide connections to the Ingle Farm Shopping Centre and Tea Tree Plaza (the largest mall in Adelaide’s northeast). Rents start at $140 per week and include all utilities, internet, cleaning and gardening services. In close proximity to a campus where science, engineering and IT courses predominate, UNIShare promotes gender equality by encouraging applications from female students! Mawson Lakes share house has one vacancy. Apply now! Pooraka share house has no vacancies. Besides the general information we offer elsewhere on the website—What’s Included?, Getting to Your Campus, House Rules, Checklist for New Arrivals and the like—you can toggle the orange buttons below for all information specific to our share house in Pooraka. Can you tell me more about the share house in Pooraka? UNIShare Pooraka is a former showhome, built in 1992, with both house and garden beautifully maintained. 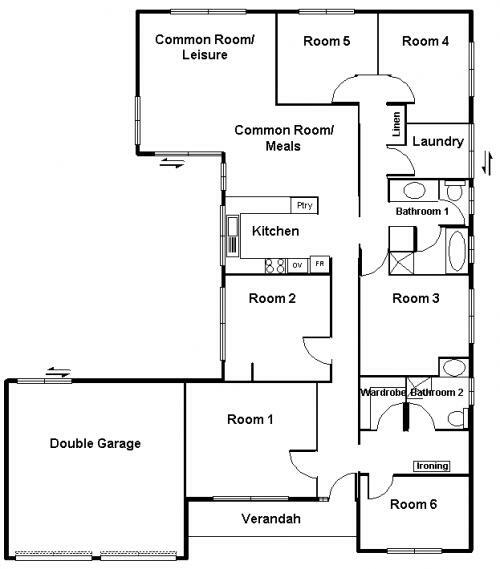 The layout offers six bedrooms, two living areas, and two bathrooms. The kitchen overlooks the main living areas. The kitchen is equipped with a refrigerator, a fitted gas oven and hob, plus a microwave oven. The house features ducted evaporative cooling and ducted gas heating. A washing machine is provided in the laundry, which has sliding doors to outside for easy access to the clothes line which is attached to the rear of the house. There is space for two cars in the garage, and UNIShare limits the number of vehicles kept on the premises to two, to avoid imposing on our neighbours. Students without their own car are therefore encouraged to apply. Because we are so conveniently located for campus, public transport and shopping facilities, you won’t need a car. UniShare living offers levels of comfort and convenience rarely found in shared rental accommodation for students. We strive to create a welcoming home from home for our residents, and we expect our residents in turn to treat the home with the same respect as they would their own. Rents for the standard 12-month tenancy range from $140 to $170 per week, including utilities (no bills to pay!). Rents for shorter tenancies will be determined on a case by case basis. All amounts are in Australian dollars. We have one vacancy, commencing mid-July. It may be possible to negoiate an earlier date. If you are seeking quality accommodation within easy walking distance of the Mawson Lakes campus, please complete an application. Feel free to contact us if you have any questions. Note: UNIShare policy limits the number of cars kept on the property to two. Applicants who do not have a motor vehicle will be given preference. No extra charge for reasonable usage of electricity, water and gas. See what’s included here. Are there any vacancies at Pooraka? All vacancies have been filled! All vacancies for Semester 1 have been filled. Thanks to all who applied. If you are seeking quality accommodation within easy walking distance of the Mawson Lakes campus, please complete an application. UNIShare policy limits the number of cars kept on the property to two. Applicants who do not have their own motor vehicle will be given preference. UNIShare Pooraka is located in the peaceful Montague Farm estate (map location is approximate). Find information on bus routes serving the suburb of Pooraka. Visit Adelaide Metro for full details of train and bus routes and timetables across the Adelaide metropolitan area.